Websites that have a good rank on Google usually generate effective business leads but obviously the task is not that simple. With such a competitive online environment, brand owners have to think out of the box and work out of their skin to convince customers. The important fact is that buying behaviours have changed. The rapidly advancing digital environment has modified the way people buy things. Now, people prefer using a smartphone or tablet to purchase things online. However, websites that hold the top few positions get more customer views and increased number of conversions. Brand owners need to follow the correct tips and focus on the correct areas which can change the game for their website. Better and effective Google Indexing can only be achieve through using a reliable tool. 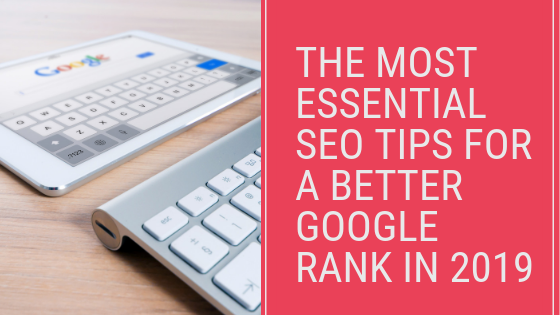 If you have the right SEO tips under your belt, it becomes quite easy to be ranked high. 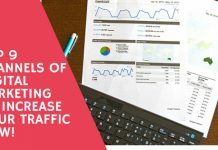 Here are some of the most helpful SEO tips that can help a website in getting a high SEO rank. Content without headings is the same as a book without a table of contents. There are numerous inconveniences which such content causes for the visitors. For instance, if a reader wants to jump to a certain section, he would have to read through everything. This obviously means that the visitors would have to spend a lot of time unnecessarily. On the other hand, if the content is divided into headings, the information becomes a lot more systematic. By dividing the content into headings, readers get the option to read a particular section if they want to. For instance, consider that you have a visitor on the home page who does not want to read through the company history. If the content is divided into headings, he would be able to jump directly to the section that he wants to read. Normally, users prefer content that is divided into headings and written with an organized approach. Content divided into headings gives a more professional appearance to the displayed information. Some websites do have very informative content but the presentation is not impressive. Headings not only divide the content into sections but also improve the appearance. You can expect readers to read through the information on your website if headings are used. Headings catch the attention of the reader as the text is bold. Thus, even if someone does not want to go into the details, he would at least go through the headings. Headings usually represent the important points explained in the paragraph written under. For instance, you view the text “Starting a website”, you would know that the information given under the heading would be related to how websites can be designed. If you are an expert designer yourself, you would not need to go through this information. In other words, headings help you in differentiating between the information you want to read and the content which you wish to skip. It makes the written content a lot more organized. There are no shortcuts of producing quality web content. The only way is to conduct in-depth research, view several sources, filter useful information and rephrase the content collected. With the passage of time, people are showing more interest in the information they read. Thus, for a website to grow and capture high ranks on the Google result list, content quality is one of the premier areas of focus. Before you start the research work, it is important to understand that the written content has to be unique. Even if you do not copy content from a website but repeat aspects that have been covered by one of your competitors, it would not convince the customer. It is hard to get customer attention when your content does not enhance his knowledge level. How can you determine whether the content on your website is exclusive or not? Keeping an eye on your competitors is an easy but very productive method in this relation. Reputed brands always grow professionally. One of the key reasons is that they keep an eye on how their competitors are performing. Using an analytics tool is one of the methods you can look at. For instance, Google analytics gives a detailed insight on how visitors are reacting to a particular website. For instance, for a specific website, you can gauge the average time that a visitor spends on it on daily basis. Through detailed competitor analysis, you can view the content that the customers are viewing. This helps in thinking out of the box and providing information that is new for the customers. High-quality original content is appreciated at the highest level by Google. If your website has exclusive content, it would be extremely easy to be ranked high and get more customer exposure. There are no shortcuts to success. Brand owners who manage their websites smartly and use the right SEO tips strengthen their online presence in quick time. According to the latest parameters that Google has, content quality is something that brand owners need to pay a lot of attention to. Websites that fail to meet this requirement fall low on the rank list. 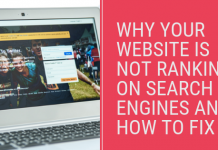 Why should Google rank you on the first page? Why should people prefer you over other alternate brands? These are two of the key questions that brand owners should have. For an online product selling brand, convincing the customer is the eventual goal. Other than that, proper effort needs to be invested to retain the customer. Most customers prefer well organized content so that they can jump to a particular section of their interest. Thus, using headings is important as it makes the content look more organized and well arranged. The content definitely has to be researched based if you are serious about getting serious customers. Attracting potential buyers is not about filling pages. Instead, the content has to be crisp, unique and up to the mark in every way.